How long will it take my baby to learn to swim? Every child is different so while there’s no hard and fast rule, if your baby began lessons between birth and six months, they could be swimming independently within two to two and a half years. How they take to the water and how much they enjoy their experience will depend on a range of factors, including the consistency of lessons and their motor skills and abilities. 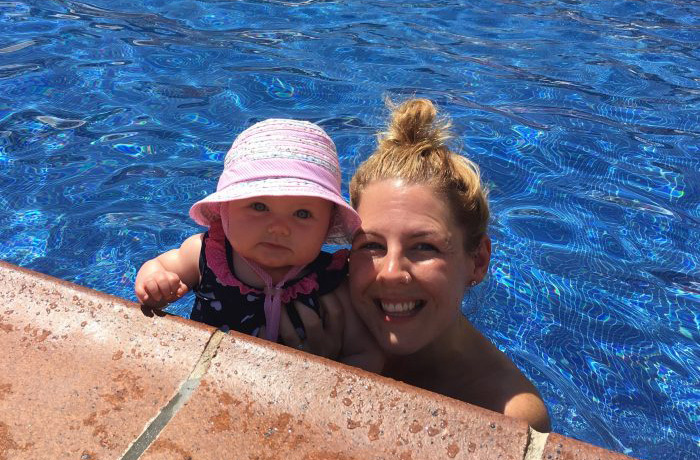 Here, resident swimbabes expert and mum-of-one Rachel Taylor discusses her daughter Holly’s swimbabes journey – from first lesson to advanced swimmer. As you approach that first lesson you may experience a mix of feelings and emotions. My advice would be to relax. Once you have relaxed, baby will too and you are more likely to have a positive, enjoyable first lesson. Everything you need will be supplied at your first lesson and a swimbabes expert will be on hand to make sure everything goes swimmingly. All little swimmers need to wear a Splash About Happy Nappy which will prevent any accidents leaking into the pool. 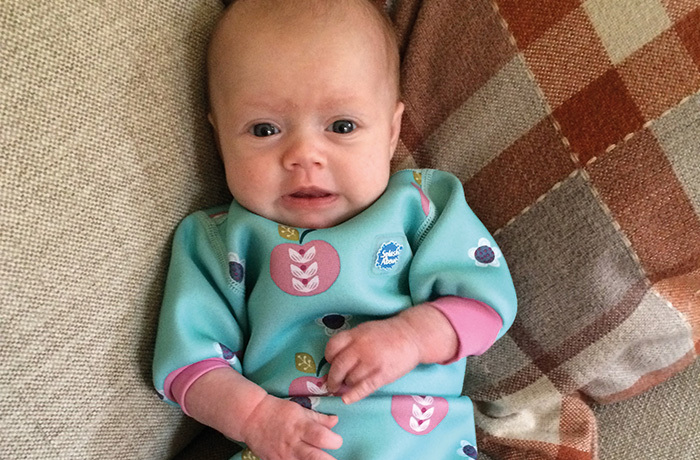 Holly was a small baby so I went for the Happy Nappy wetsuit as it has an integrated Happy Nappy. It also has full upper body covering and long sleeves – this fantastic product worked really well for us. I liked to look at the first few lessons as the ‘settling in’ period. 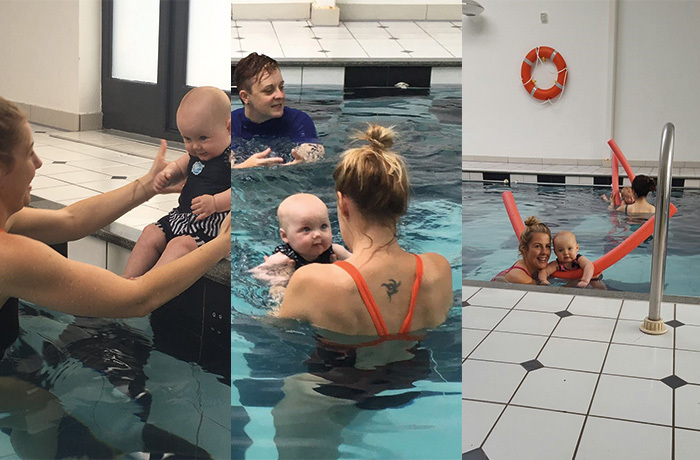 We experienced a few teary lessons as all new swimmers do but this is a chance to work out if it’s the right class for your baby. If they’re unsettled it might indicate they’re tired or hungry and it would be a good idea to try a different time or day. 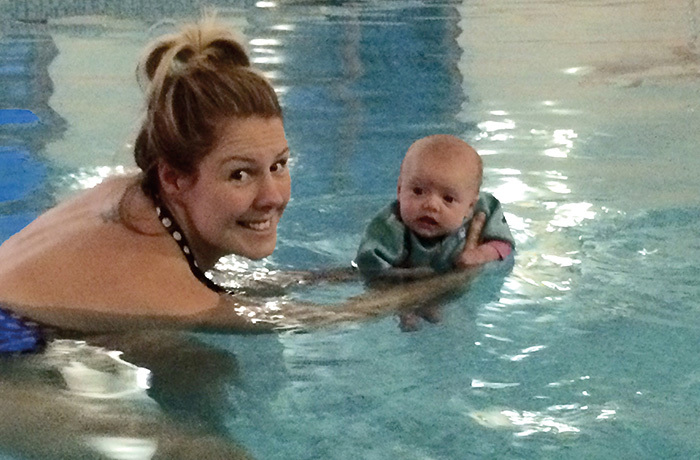 Once you have a routine and your baby is settled and happy in the water, you can relax and watch their journey begin. This time together in the water is precious and a perfect opportunity to bond with your baby. After a few lessons, you and your baby should begin to feel comfortable in the water. The teacher will have introduced underwater swims and you will be becoming familiar with the programme. As the terms rolled on, Holly and I couldn’t get enough of our weekly swimming lessons. Holly learned new skills each week, we loved our teacher and we made new friends in the class. 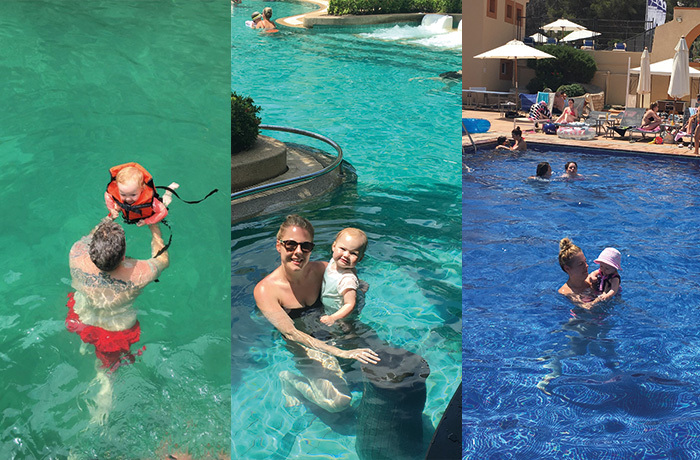 At around 18 months, Holly hit the classic ‘water wobbles’ stage – she started to protest swimming and would only do things she wanted. Most swimmers go through this and, as a swimbabes teacher, I had the advantage of understanding this common phase. Perseverance is key and, sure enough, she was soon back to her happy self in the water. Watching your little swimmer progress from their first lesson to competent swimmer is an amazing experience. Holly mastered advanced skills and could swim a width unaided by the time she was two and a half years old. 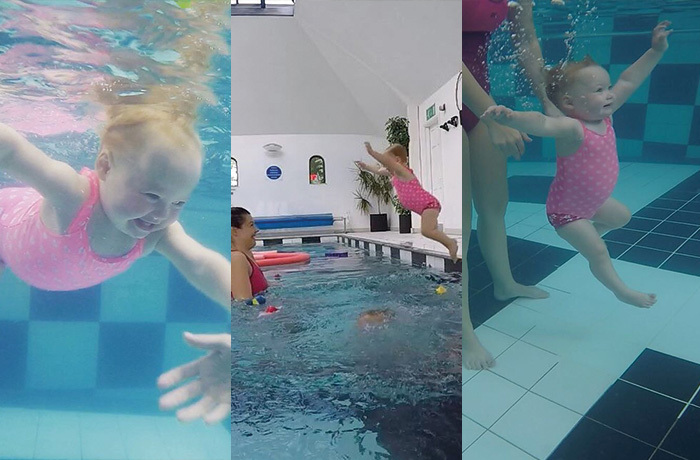 To start your little one’s swimbabes journey, you can enquire about lessons or call us on 01484 683570.